iPamorelin is also known as growth hormone releasing peptide (GHRP), which is considered as the mildest and most friendly form of GHRP hormones. Developed by Novo and Nordisk, iPamorelin became a popular trial drug and made its way into two most important clinical trial of the year. It comprises of five amino acids that result in significant release of growth hormone from the pituitary gland and also shows the dual action of suppressing somatostatin. With the benefits of increased fat loss and maintenance of lean muscle tissue, strengthening of joints and connective tissue are also experienced by this steroid user. 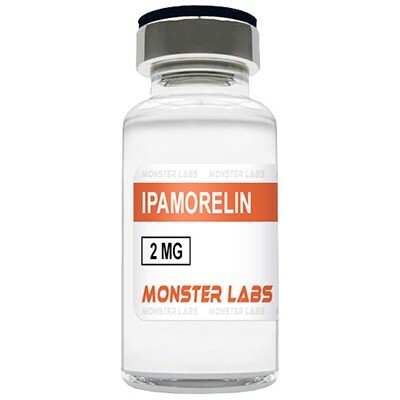 iPamorelin is getting popular day by day in the bodybuilders and performance athletes community. This synthetic peptide can result in a tremendous difference in the muscle mass and can also burn the fat faster. It has a very similar composition to GHRP-6, which is a hexapeptide whereas iPamorelin is pentapeptide. iPamorelin is known to target a specific GH pulse and doesn’t cause the side effects of hunger and impact on cortisol, which are persistent in GHRP-6. Those who are on a restricted diet can greatly benefit from iPamorelin and to enhance its effects many combine it with other anabolic steroids, which are also known to influence release and production of growth hormone. iPamorelin is the first successful GHRP receptor, which effectively binds to a cell’s receptor and triggers a response with the selective secretion of GH. Another major function of iPamorelin is that it doesn’t result in extreme spikes in prolactin or cortisol, which is a major concern in GHRP-2 and GHRP-6. It delivers slowly and makes the release more natural and substantial. The basic functions of iPamorelin are to burn the fat faster, increase muscle mass, enhance bone growth, and protect lean muscle tissues. The major effect of iPamorelin is to stimulate the production of natural GH in the body, slowly and more naturally. A significant increase in the presence of this hormone results in great benefits for bodybuilders and performance athletes. Along with the improvement in metabolic rate, the user can maintain a suitable level of fat in the body that will grow and into muscles. Most importantly, it results in the increase of GH levels, which helps in the recovery cycle of many users and gets them back to their natural hormonal functions in shorter time. In the recovery phase, new lean muscle tissues are formed, and the old ones are preserved in the body, to give bodybuilders a perfect physique. iPamorelin also ensure a deep sleep cycle for the user, and many have reported better mood swings, which can be a result of more rest. Along with better sleep, the user can also enjoy some incredible anti-aging benefits as the GH levels affect almost every part of the body. From hair and muscles to skeletal structure and nervous system, improved GH levels create a healthy environment inside the body. Many often refer to iPamorelin as ‘fountain of youth’ hormone, due to its anti-aging and beautiful skin benefits. Like every steroid, iPamorelin can also have some side effects from its prolonged use. It is known as the friendliest growth hormone, and most of its side effects are easily controllable. As iPamorelin is not anabolic steroids, its side effects are also not anabolic-related. Estrogenic side effects are not suffered by iPamorelin users, as the estrogen levels remain unaffected by its presence. You can experience slight water retention during the early stages of its use – ankles and wrist are the common areas. Though, this side effect is temporary as without any changes in the estrogen levels, you cannot get a significant water retention problem. You can combat this effect easily by making adjustments to your diet and adding more nutrition to the plate. This is also a common side effect that is easily avoided by including more water and green vegetables in your diet. You can experience some soreness in the injected area, and rotating and finding new areas to inject will help with this side effect. There might be an increase in the prolactin levels, but this is very rare occurrence, and Cabergoline may prove helpful. Athletes and bodybuilders can take 200mcg – 300mcg of dose, two to three times daily with the use of a tiny insulin needle for injection. Starting with lower dose is advised, to see whether your body is responding positively to the effects. Take this hormone 40 minutes before your workout session, to amplify its uses even more. iPamorelin is not a hormone medication that is readily available in the pharmaceutical markets but is available on the black market in abundance. You can also find this drug primarily on online chemical supply companies and online pharmacies overseas.